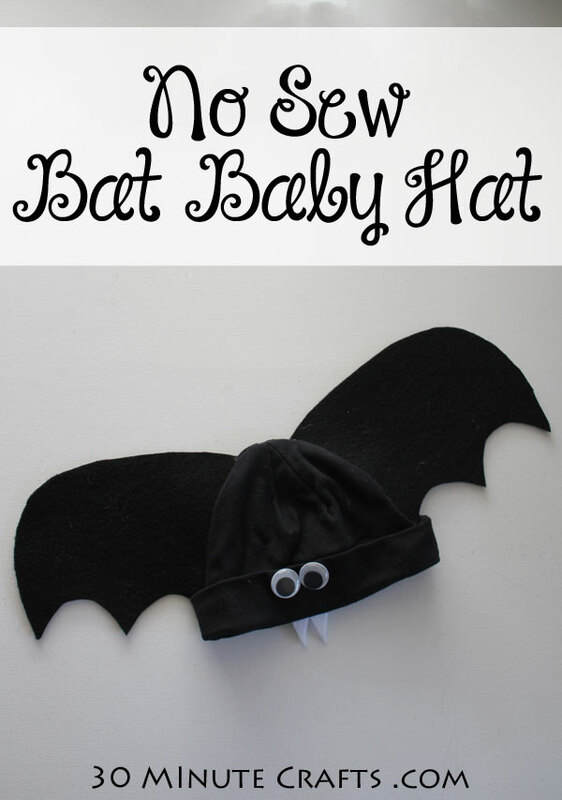 This no sew bat baby hat is super easy to make with just a few supplies. 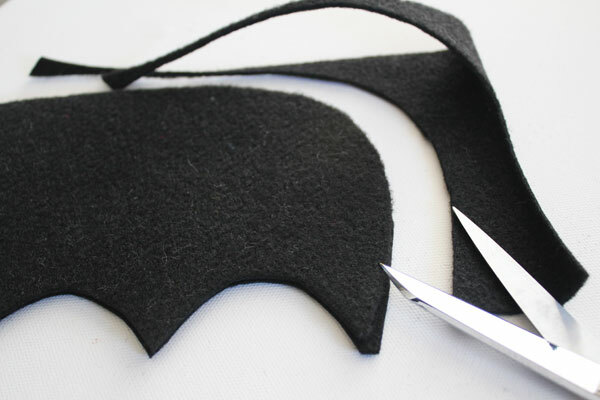 You can make your own bat baby beanie in about 15 minutes, and it is super cute! 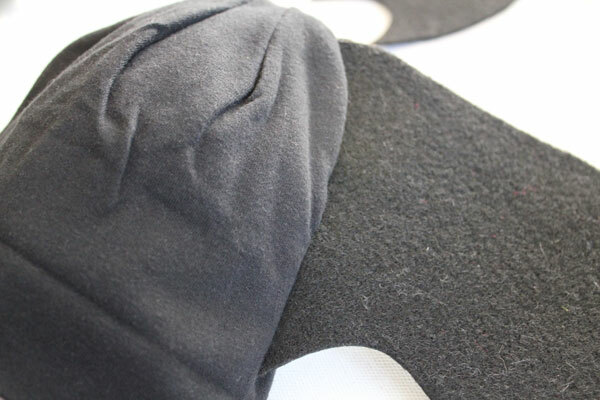 In fact, you can adjust these instructions a little to make a bat beanie in just about any size! 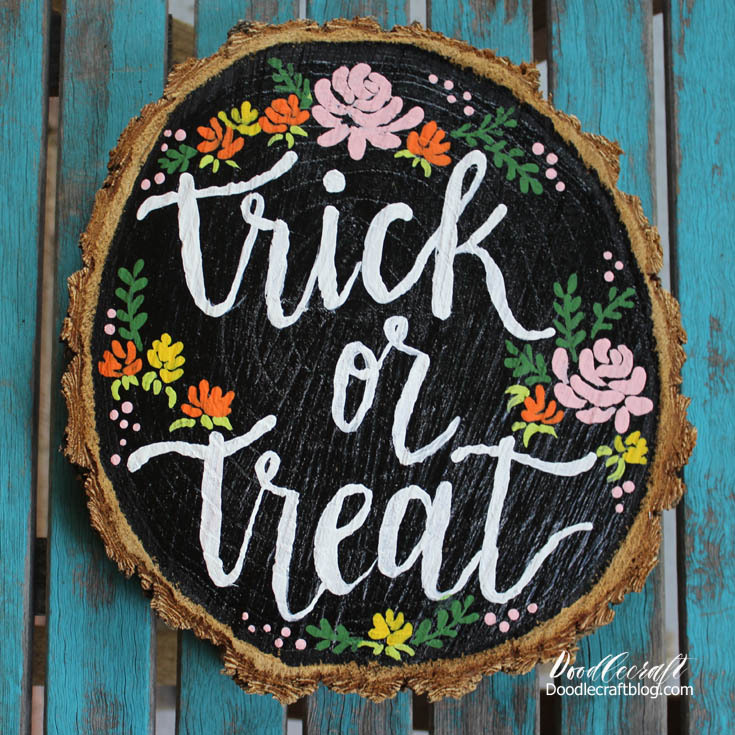 This project is part of this year’s Craft Lightning Halloween – all week long I’ll be sharing fast crafts you can make in 15 minutes or less, along with my crafty friends Angie from the Country Chic Cottage, and Jen Goode from 100 Directions. And we’ve rounded up a bunch of our friends to join in as well! 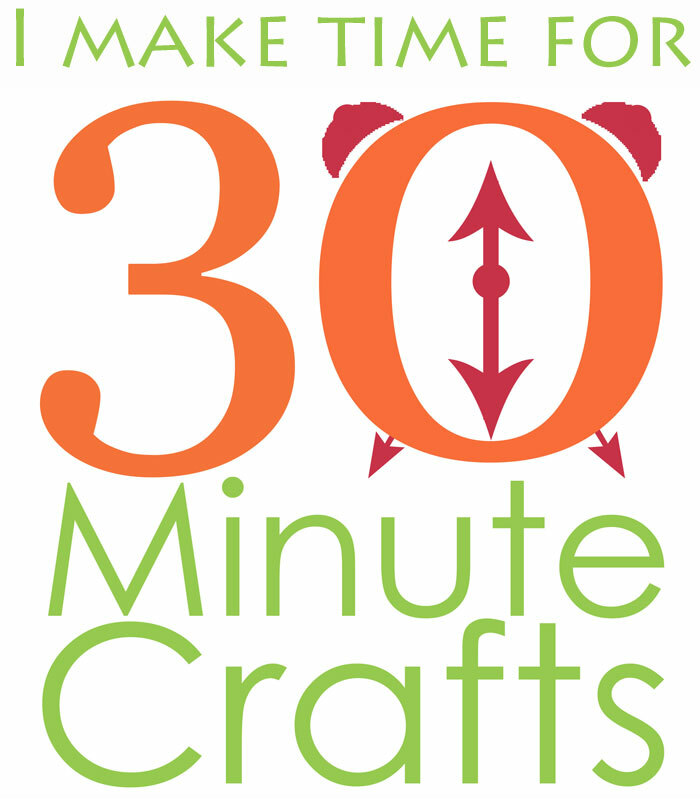 Scroll to the bottom of this post to check out all their fast and fun Halloween Craft ideas! 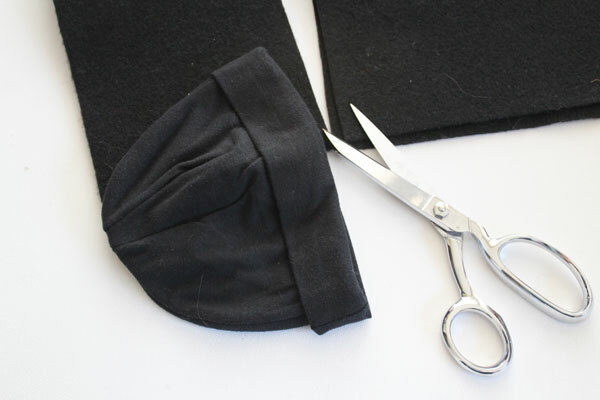 Cut a strip from the felt as wide as the hat is tall. 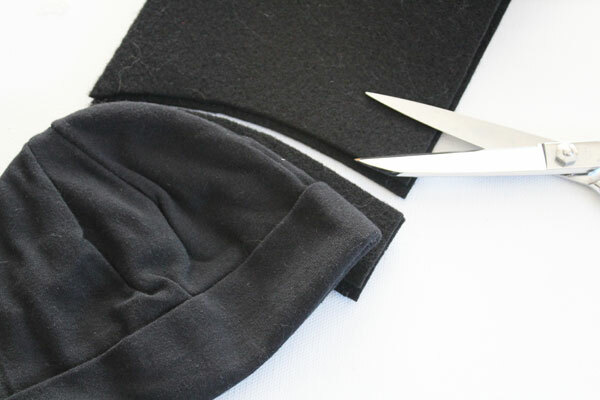 Cut the edge of the felt along the curve of the hat. 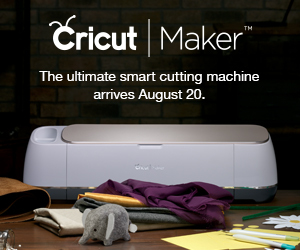 Cut curves into the bottom of the strip. Cut curve along the top of the wing. 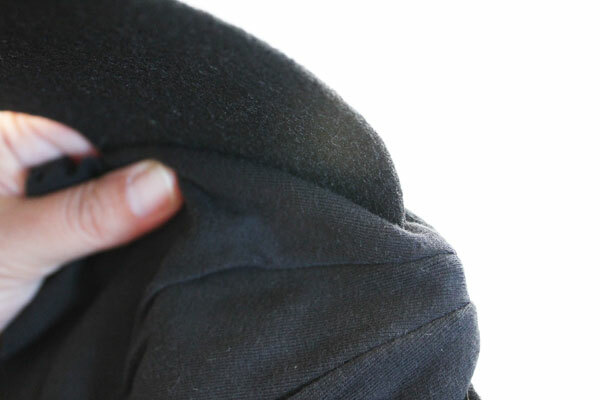 Hot glue along the edge of the bat wing – the side that matches the curve of the hat. 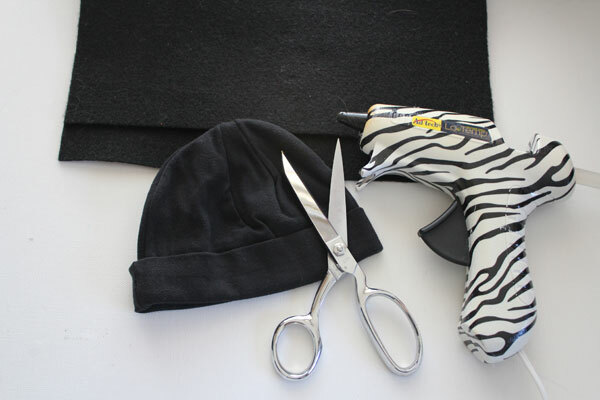 Press the glued edge into the side of the hat. 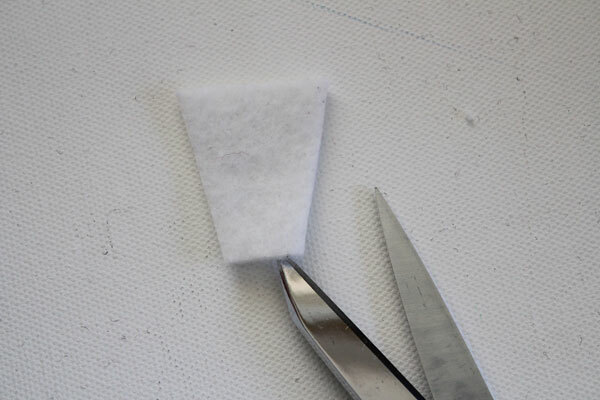 Put your hand inside the hat to pinch the sides of the wing, securing the glue in place. Repeat, adding the wing to the other side. 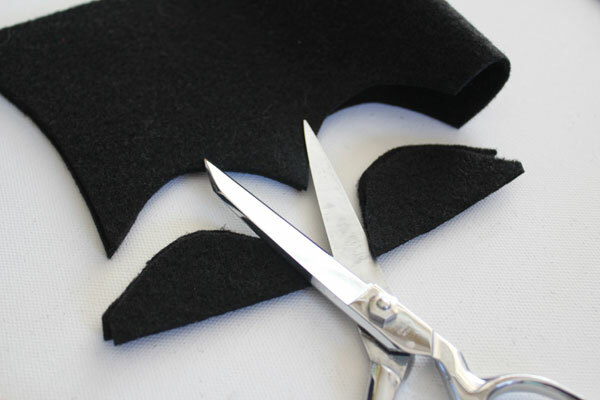 Cut a small piece of felt (about 2″ x 1.5″) into a tumbler shape. Cut a notch into the bottom of the tumbler to make the bat’s teeth. 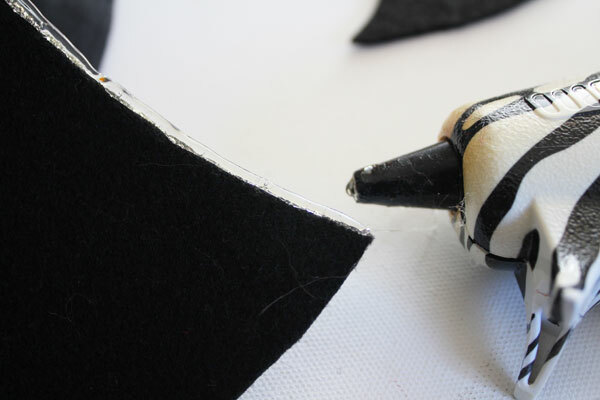 Glue the teeth under the rim of the hat, and the eyes onto the hat. 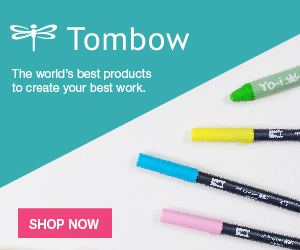 You’re all done! 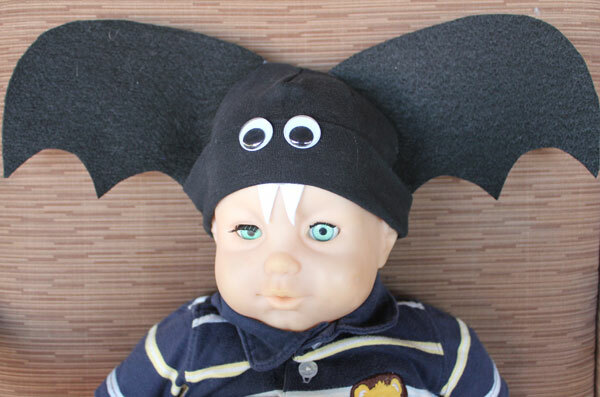 If you want some creepy Halloween decor, put your no sew bat baby hat onto an old doll! 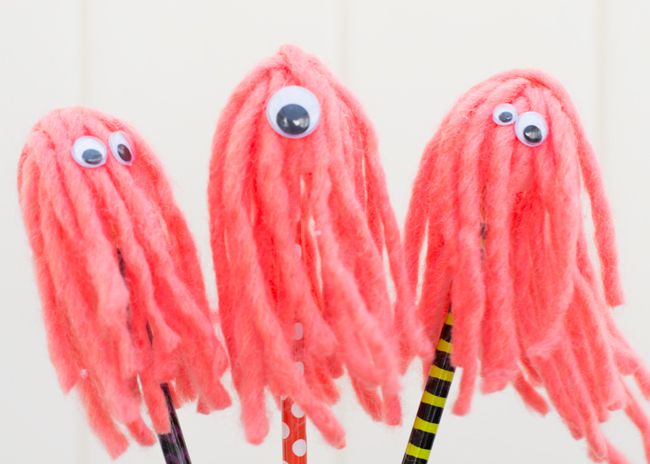 Lindsay at Frenchie Wraps made these cute monster pencil toppers. 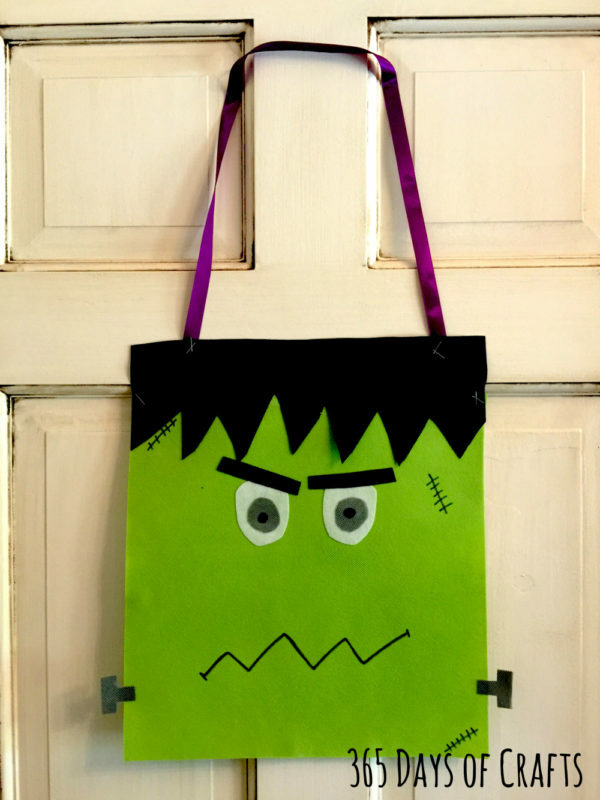 How fun is this Frankenstein Flag? 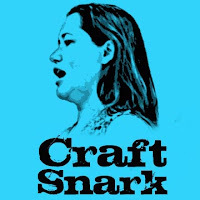 Niki shows you how to make your own over on 365 Days of Crafts. 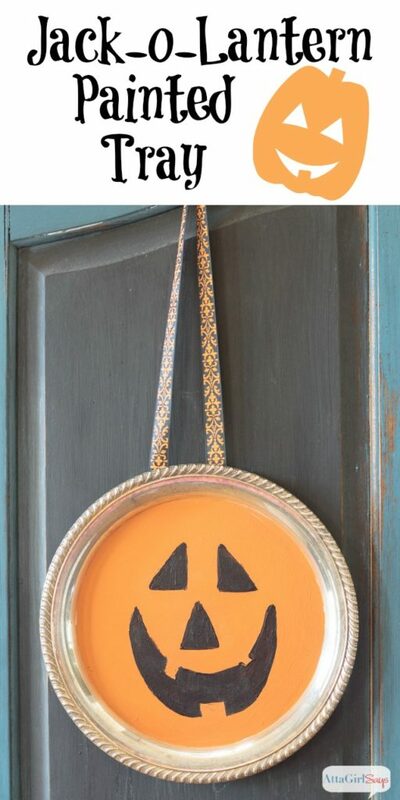 Like this Jack-o-Lantern tray? 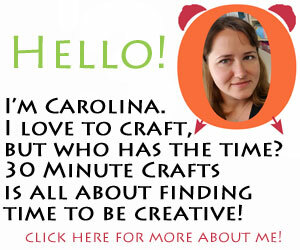 Amy at Atta Girl Says shows you how easy it is to make your own! 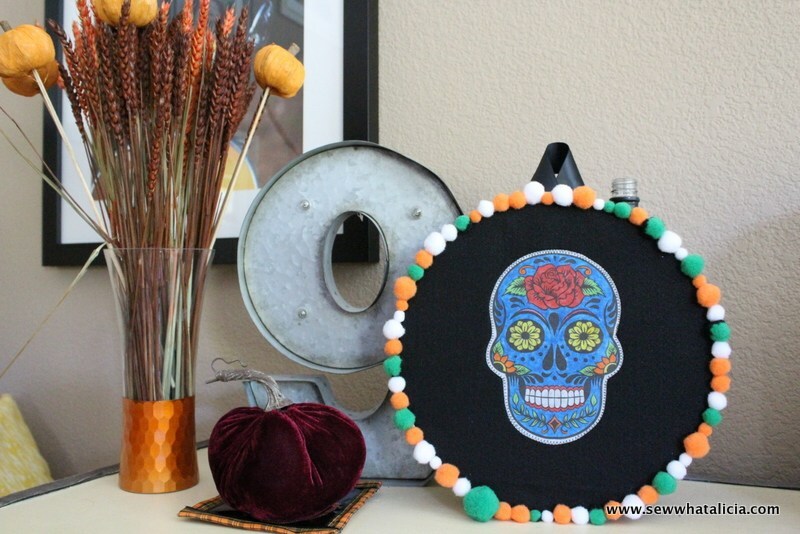 This skull hoop embroidery is super simple to make – Sew What Alicia shows you how! Over at Doodlecraft, Natalie transformed this wood slice with some brush calligraphy. 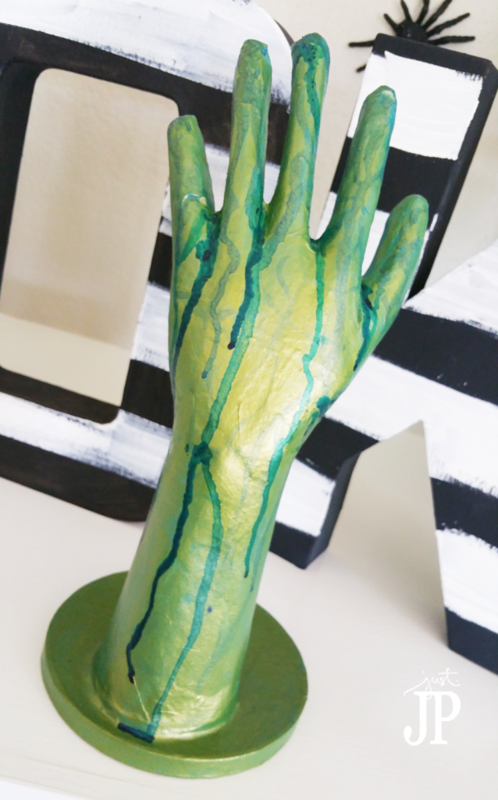 This creepy hand decor is surprisingly simple to make – Jennifer Priest walks you through how easy it is to whip one up! 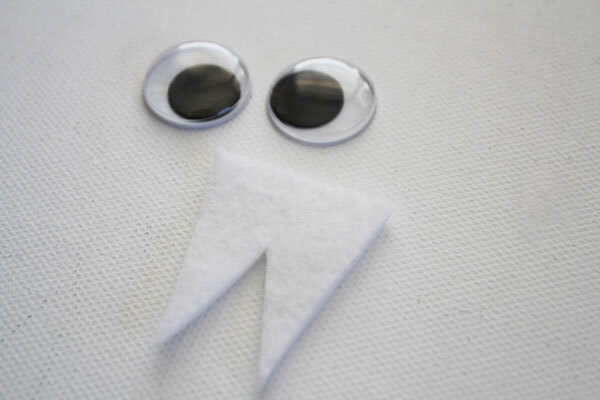 Be sure to stop back by tomorrow for more fast and fun Halloween Craft ideas!